The second day of the World Cannabis Conference will continue to offer fresh perspectives on the emerging cannabis industry, including a keynote address by Giadha Aguirre De Carcer, Founder and CEO of New Frontier Data, who will provide an overview of the global cannabis environment and the role that data analytics will play. Aguirre De Carcer, a member of the Forbes Technology Council, has been featured in Forbes, Fortune, CNBC, Fox News, CNN Money and other leading news outlets. Today, five compelling panels will explore themes of overcoming marketing barriers in a highly regulated industry, establishing a legally constituted recreational cannabis industry, the medical landscape as it relates to cannabis availability, the role of the media, the global future of cannabis and a talk that examines cannabis consumer behaviour and public perceptions. 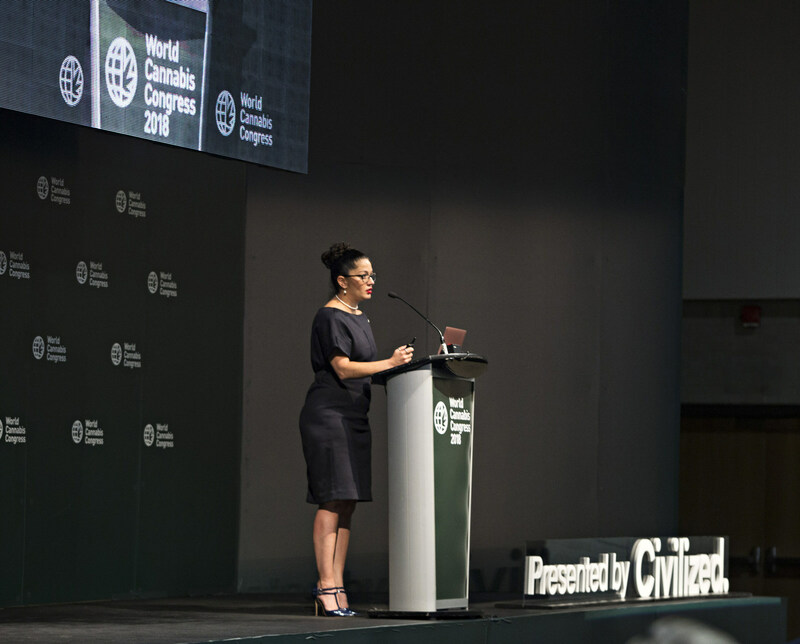 "We'll continue to learn and engage with our delegates from around the world today, from places including the UK, Israel, Germany, Japan, South Africa, Australia and more," says Derek Riedle, CEO and Publisher of Civilized and Co-Chair of the World Cannabis Congress. "Today's agenda further explores the business, policy and innovations in the global cannabis industry. Among other exciting information provided will be a Cannabis Culture Poll, commissioned by Civilized, that uncovered findings relevant to legalization, purchasing decisions and social responsibility." "Together with its partners, the Government of Canada makes transformative investments to build smart, strong and sustainable communities that meet today's unique challenges and prepare us all for a prosperous future," says Wayne Long, Member of Parliament for Saint John, on behalf of the Hon. Navdeep Bains, Minister of Innovation, Science and Economic Development and Minister responsible for the Atlantic Canada Opportunities Agency (ACOA). "The World Cannabis Congress is a great example of this collaboration at work and positions New Brunswick as a global cannabis knowledge centre." "New Brunswick is uniquely positioned to lead the transformational cultural, scientific and economic opportunity provided by legal cannabis," says Stephen Lund, CEO of Opportunities New Brunswick and Co-Chair of the World Cannabis Congress. "Bridging cannabis with mainstream brands including Shopify, Moosehead, the Canadian Chamber of Commerce, T4G Limited, McCarthy Tétrault, Deloitte and more is exciting and also necessary." The second and final day of the conference follows a robust and informative lineup of speakers and panelists yesterday, including luminaries such as the Hon. A. Anne McLellan, Chair of the Canadian Task Force on Cannabis legalization; Loren Padelford, Vice President and General Manager of Shopify Plus; Patrick Oland, CFO of Moosehead Breweries Ltd.; and Ian Jack, Managing Director of Communications and Government Relations for CAA. Scott Elder, Senior Vice President of PSB, will deliver a talk "Exploring North American Cannabis Consumer Behaviour and Public Perception." Steve DeAngelo, a lifelong activist, author, educator and entrepreneur will draw on his four decades on the front lines of the cannabis reform movement in his special address.